Saturday, August 8th was the pre-meet and pre-BlytheCon Vancouver dinner – both kindly spearheaded and organized by Kimberly/Smitten Kitten. 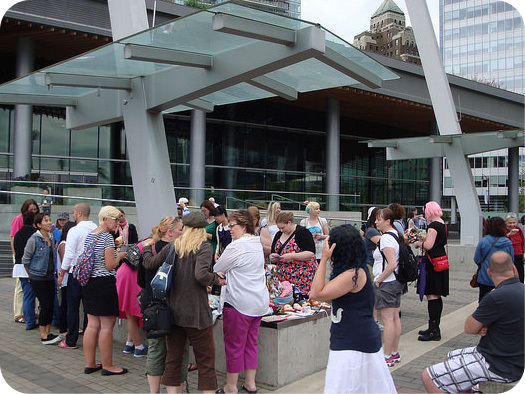 It was super fun, the pre-meet was at the Jack Poole Plaza at the Vancouver Convention Centre in downtown Vancouver, BC. 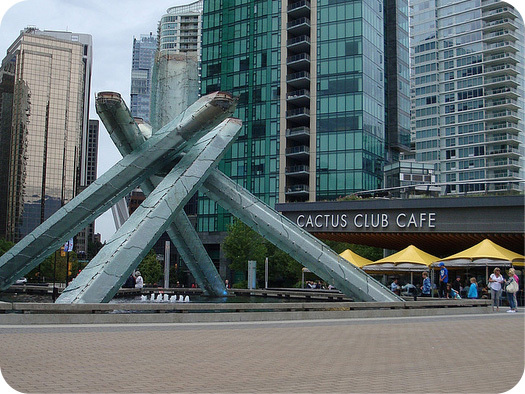 It’s home to the Vancouver 2010 Winter Olympic cauldron, it overlooks the water and it’s just a delightful place in general. 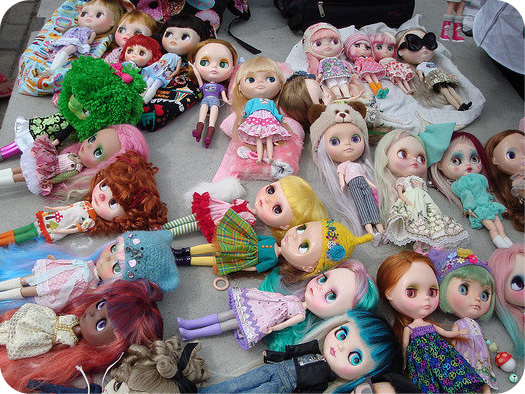 We had a fantastic number of people show up with so many dolls. We even attracted the attention of people walking by and some of those people ended up showing up at BlytheCon during our drop-in entry period. 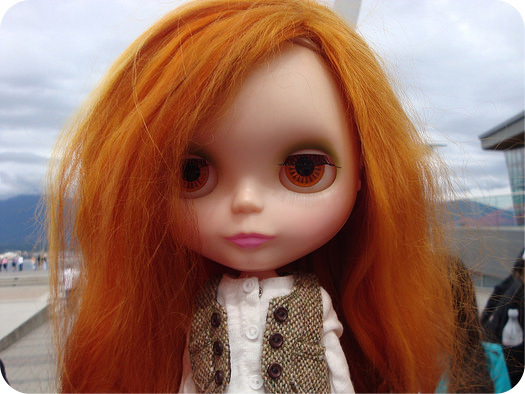 I know at least one of those people looking in ended up buying a Blythe doll for their daughter. At one point, some people looking on picked up Sophie and started to take photos of her. I was keeping my eye on them and watched them put her back down (whew!) and then I moved in to pick her up again and the lady was reaching for her again! Turns out that because Sophie was dressed a lot like her (adult) daughter, she wanted to buy Sophie. I had to explain that she was part of my personal collection and not for sale. 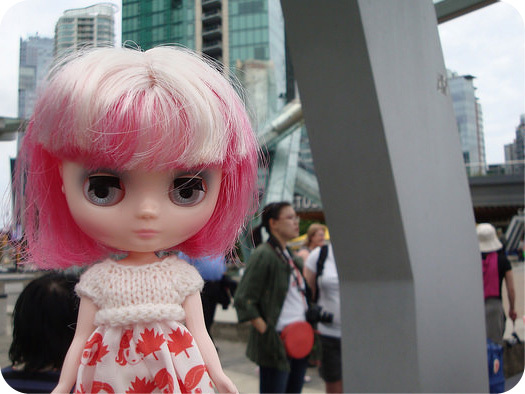 Although I did encourage them to come to BlytheCon Vancouver, I didn’t see them at the venue on Sunday. I got a lot of compliments on Sophie’s sunglasses on Saturday, for the life of me I cannot remember where I got them from! I’m 95% sure that I got them from Etsy because I know I didn’t get them from a destash. The pre-BlytheCon Vancouver dinner was at Cactus Club Cafe on Robson St. I didn’t get any good photos in the restaurant due to the lighting, unfortunately, but it was fantastic company and delicious food. 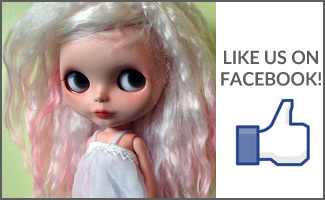 Stay tuned for Part 2 of my BlytheCon Vancouver Recap! 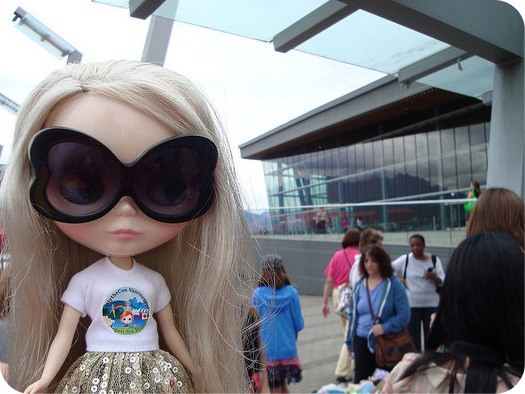 Sophie’s wearing: sunglasses/unknown, t-shirt/Puppy52Dolls, skirt/unknown. How exciting! 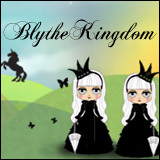 So many blythes in one place ^^. I can’t wait to go to my first convention this fall. 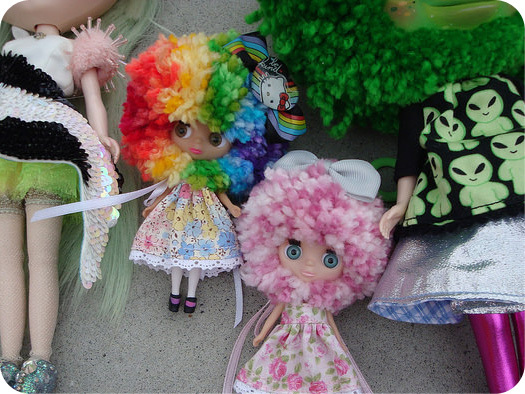 This was my first Blythe Con and it was absolutely amazing!!!! The people, the food, the venue were just perfect. New friendships were started and old ones renewed. This one will be hard to top! I thank you all for such a great job!!!!! It was so fun! Glad I could help a tiny bit! I’m so glad you’re sharing the experience with us! It’s so sweet that lady wanted Sophie in particular. Looking forward to the next part! It was such a great day! It rained a teeny bit but no one cared. 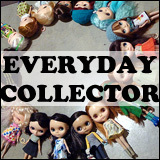 We just kept on chatting and admiring all the awesome dolls!